Eschew the tourist crowds and head to Valley of Fire State Park and Titanic. When in Las Vegas, make a side trip to see Hoover Dam in Boulder City, approximately 50 minutes away. 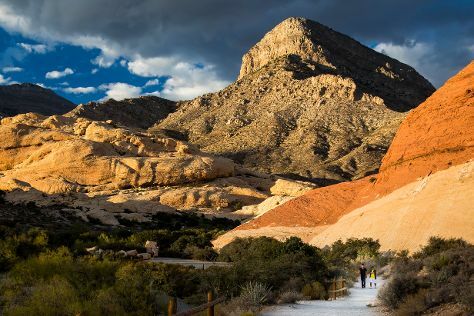 There's much more to do: explore the stunning scenery at Red Rock Canyon National Conservation Area, stop by Las Vegas North Premium Outlets, enjoy some diversion at Battlefield Vegas, and add some entertainment to your itinerary with Bellagio Fountains. For maps, where to stay, ratings, and tourist information, you can read our Las Vegas trip itinerary app . In September, plan for daily highs up to 93°F, and evening lows to 71°F. Finish up your sightseeing early on the 23rd (Sun) so you can travel back home.